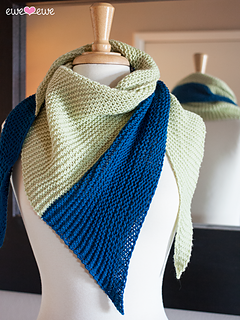 Knit this light and lofty pretty wrap just in time for spring. Use two of your favorite colors or choose something new for the perfect contrast. 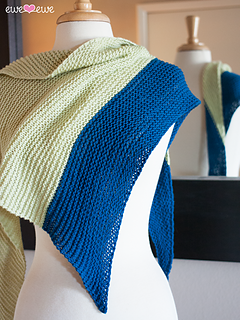 Mint Julep is fun to wear and easy to knit. It’s worked from side to side so give it a try for a little something different! Gauge: 18 sts to 4” in garter stitch after blocking.